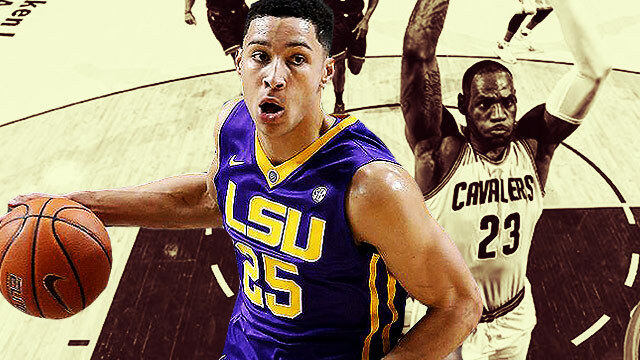 Why is everyone comparing this year’s top pick to LeBron James—and what can it do to his career? Remember all those players who were labeled “The Next Michael Jordan”? One at a time, guys like Harold Miner, Jerry Stackhouse, and Vince Carter all carried that heavy burden of expectations with them. A guy like Carter never got to the level of MJ, but he did make out a Hall-of-Fame worthy career for himself. On the flip side, Miner won two Slam Dunk titles and not much else. 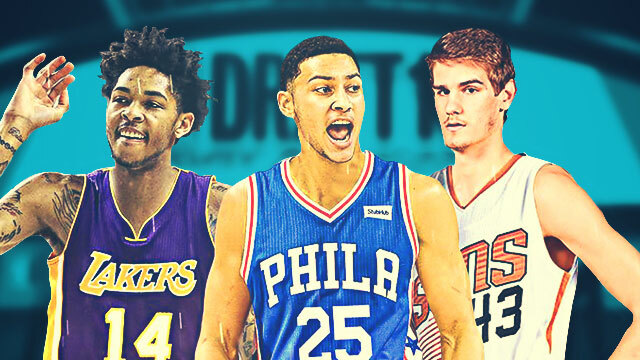 That’s the curse of being labeled “The Next ______,” a place the newly minted Number One draft pick of the 2016 NBA Draft finds himself in right now. 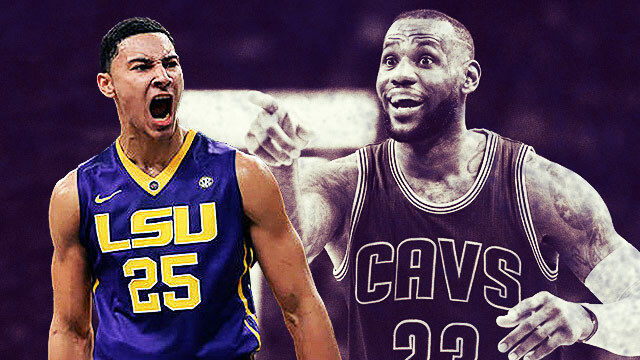 His name is Ben Simmons and you might have heard a lot about him, partly because he’s being compared—right or wrong—to the man that just led his team to the NBA Championship: LeBron James. Here’s the truth though. Comparing a 19-year-old NBA neophyte to a four-time MVP and three-time NBA champion is borderline insanity. It’s stupid. But that’s the world we live in when it comes to the NBA, about as narrative-driven as any sports league in the world outside of the NFL and the Premier League. 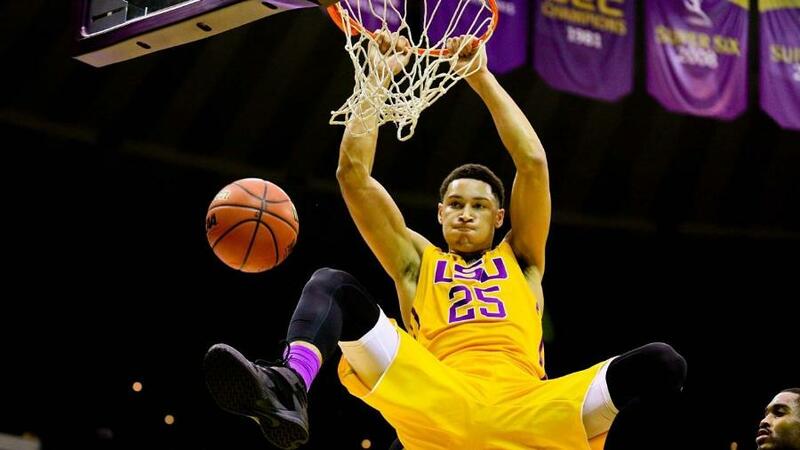 It’s a glowing testament, no doubt, but does it paint the whole picture of Simmons’ abilities? More importantly, is it even fair, given the scouting report, to immediately say that his closest comp is LeBron, the same guy that just pulled off an all-time great performance at the NBA Finals? That’s an incredibly heavy burden to bear, especially now that the NBA has become a 24-hour news cycle where every move he makes, in and out of the court, will be magnified and picked apart by talking heads and prisoner-of-the-moment fans alike. Who knows, he may one day live up to the hype, maybe even exceed it. Or he may flame out like so many other heir apparents have in the past. But it’s not on us to dictate those terms to him. He has to do it on his own. All we can do, or rather, all we should to do is sit back and see where he takes his career now that he’s in the NBA.